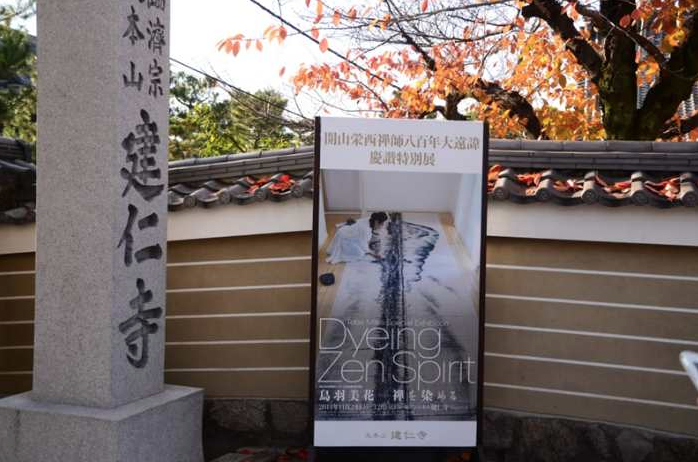 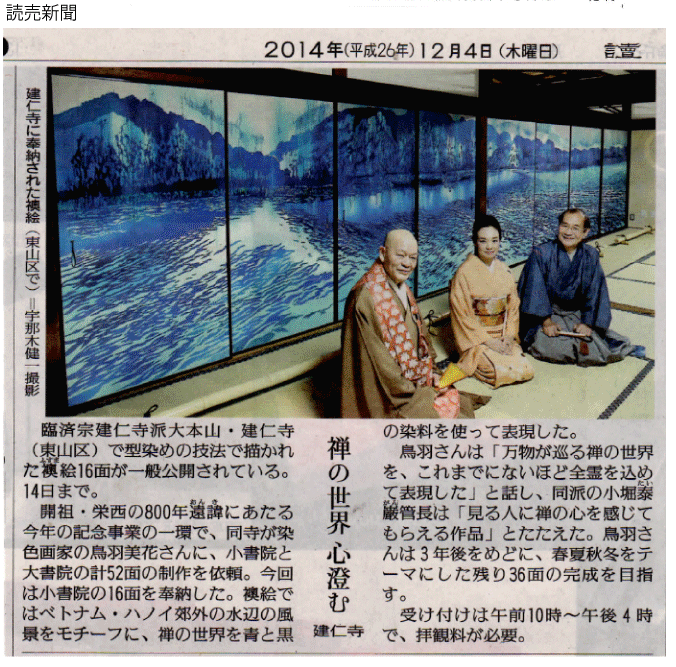 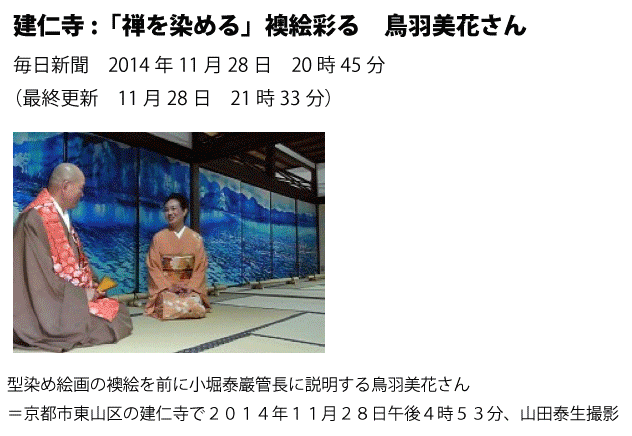 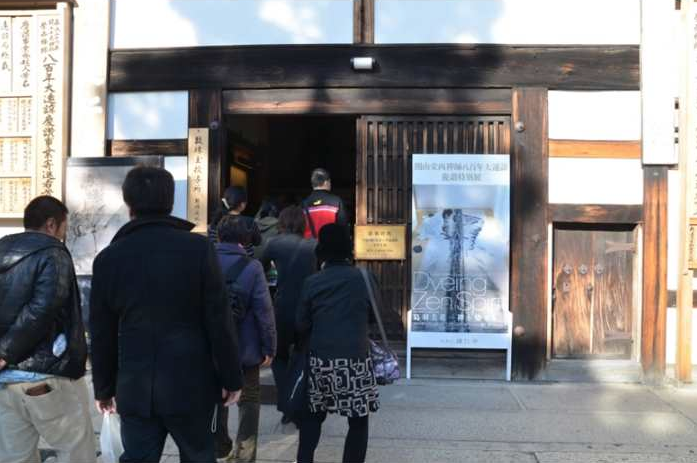 Special Exhibition “Toba Mika --Dyeing Zen Spirit” was held at Kenninji, the Oldest Zen Temple in Kyoto from November 29th to December 14th, 2014 in honor of the 800th Memorial Service of Yousai, the founder of the Temple. 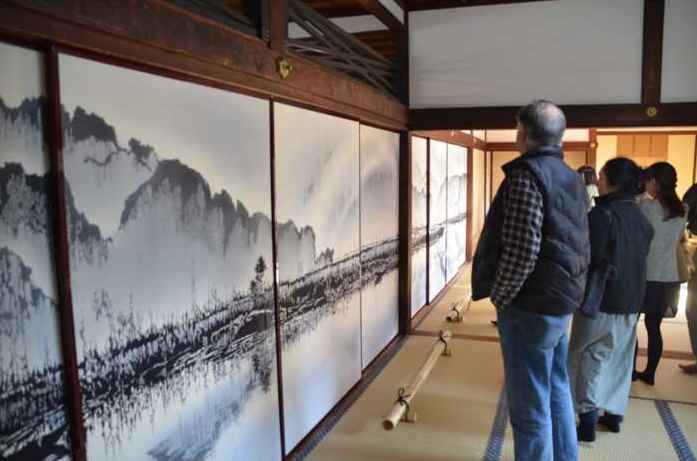 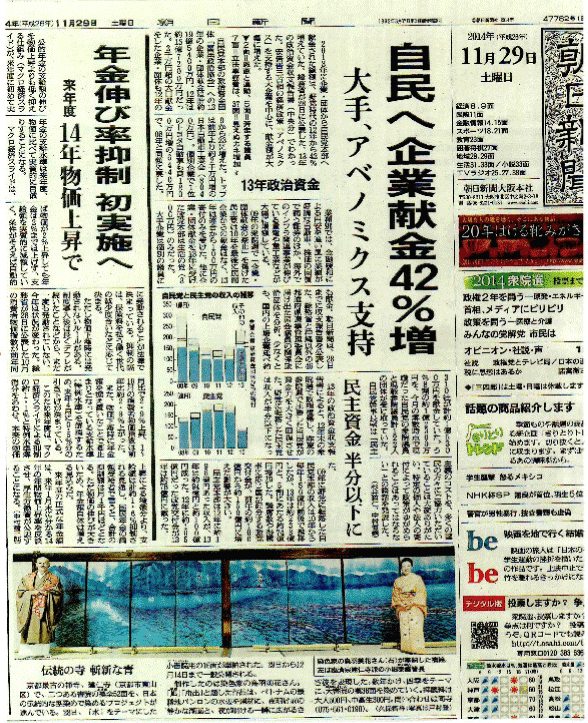 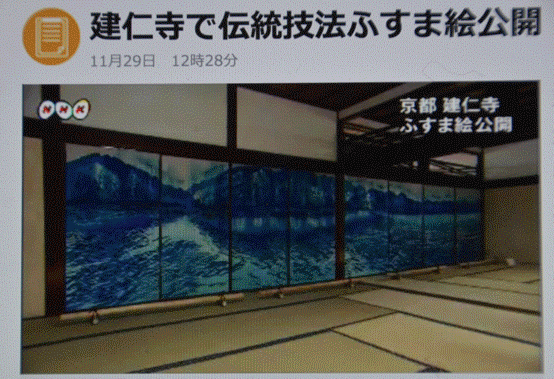 Toba Mika will dedicate 52 screens of Katazome paintings to the Temple on this auspicious occasion, and the first 16 screens of paintings were now completed (“The calm” and “Rowing away”), and were made public. 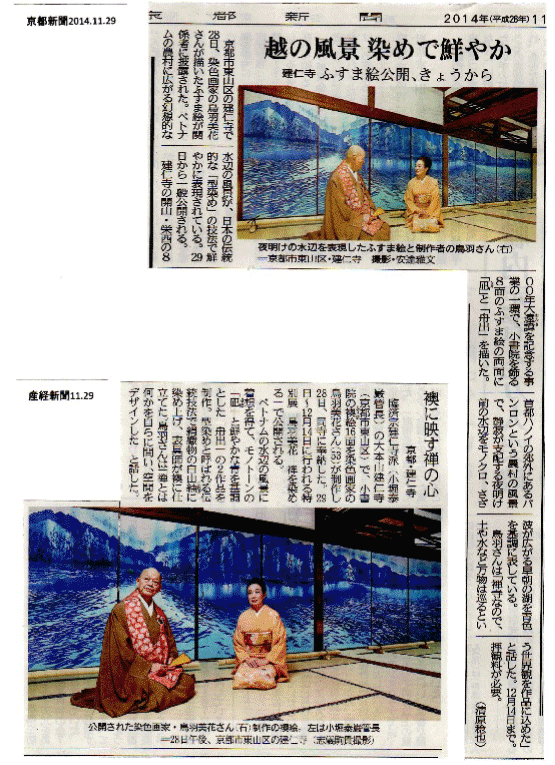 In the opening ceremony, Chief priest Kobori made a speech of appreciation, and was followed by speeches of Mr. Binh, the Consul General of the Socialist Republic of Vietnam in Osaka , and Mr. Kadokawa, the Mayor of Kyoto. 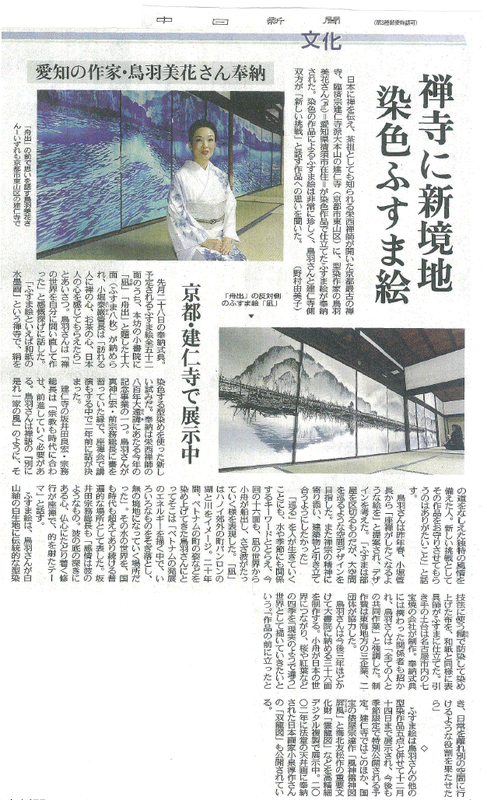 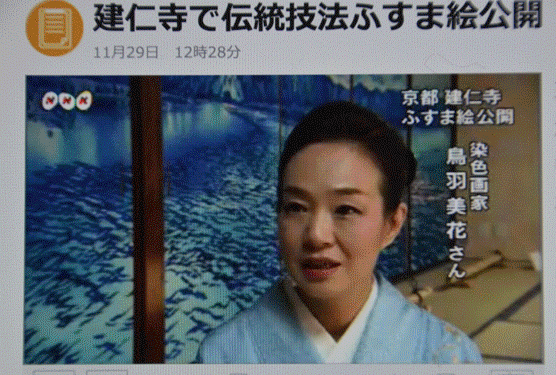 Toba Mika introduced those artisans of paste, pager hanger, Hakusan silk pongee, and cloisonné ware as her partner of Katazome painting production. 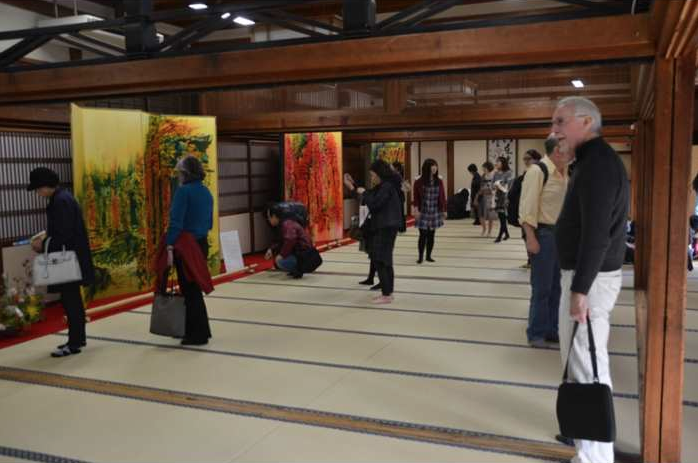 New space of air was designed by Katazome paintings in the Temple at the background of autumn trees, and more than 17 thousand people came to appreciate those paintings.